Just a quick one this time! Super sorry i've been quiet for the past few days, last week was a strange week and I now I have a stress fracture in my leg - good times! Anyway, less of my boring life - today I got some really great news! 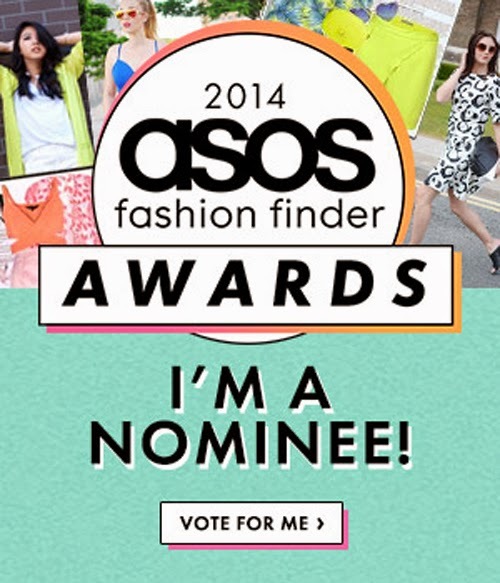 The fabulous team at ASOS Fashion Finder have shortlisted me and nominated me under the 'Ones to Watch' category in their new awards, which i'm majorly excited about! It's really great that someone sees me as 'One to watch' because I put a lot into my blog so recognition is always the best boost you could need to keep going... So, if you like what I do, please vote for me!